When I was a child I learned to play treble recorder and have continued playing in diverse recorder ensembles all my life. As a teenager I taught myself playing guitar. 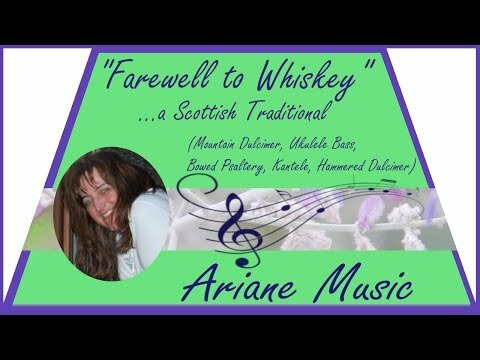 From 2005-2014 I have been playing tin whistle and hammered dulcimer in bands, mainly playing Celtic music - this was a very special time for me. Since then I collected some interesting music instruments - among these also a mountain dulcimer end of 2017. Playing music is a vital part of my life. "Thank you very much, Jim - I am so happy to read your kind comment. Regarding the suggestions for techniques...what do you think of the idea that you also..."
"Thank you very much, Harmonybc - I am very happy that you like it." "Thank you so much, Dean!" "Thank you very much, Harmonybc - I am happy that you like it." "Thank you very much, Steven, for your kind compliment! This wonderful dulcimer arrangement is by Nina Zanetti"
"Aw...Bob - that's so kind of you! Many many thanks!" "Thank you very much, Val and Benjamin, for your kind comment." "Sounds beautiful, Peter! I somehow have the imagination of a lonesome cowboy riding into the sundown..."
"Vielen Dank, lieber Martin, für Dein Kompliment." "Bravo to you, John and Dennis!" "Wonderfully played and sooo relaxing!" "I like how you experiment and create your own playing styles." "I always love to hear and see you singing and playing, Gordon!" "Thank you very much, Val, for your kind comment." "Thank you very much, my dear friend! (Today I will start working on our next collaboration - I am so much looking forward to it!)" "Aw....that is so kind of you, my dear friend Terry. Thank you very much - I am smiling from one side to the other." "Thank you very much, Gordon, for your kind comment. I am very happy that you like it." "Thank you very much, Kjb, for your kind comment! The kantele is a Finish traditional instrument - and since Finland is also a Scandinavian country I..."
"Thank you very much, Steven - for your kind compliment!" "Thank you so much, Dean! I am very happy that you like it : )"
"Danke Dir sehr, lieber Martin!" "Thank you very much, Jim!" "Now available - my latest "dulci"-pouch creation - for all the enthusiastic dulcimer girls and ladies in the world! A cute hourglass (or teardrop) mini..."
"What a beautifuli and sweet sound - and very well played, John!" "Thank you very much, Kjb, for your kind comment!" "Thank you very much, Dusty - yes, the melody is a real earworm"
"Thank you very much, Steven - what a lovely comment!" "VERY good playing and recording, John! Beautiful!" "Zwischen den Jahren - Between the Years"
Hi Ariane! 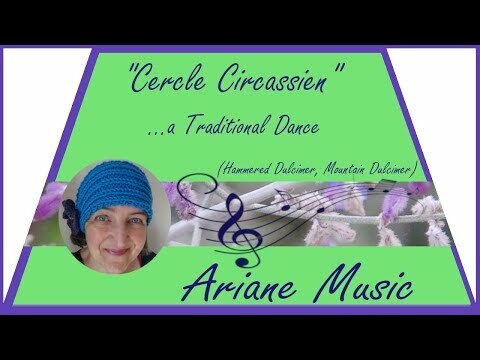 Thank you so much for your beautiful music on Dean's song Cerise, Cerise! I would love to link to your facebook page when I announce this on Dean's facebook business page - I sent you a friend request so that will work if you can accept please! Just wanted to say thanks for the compliment on "Butterfly". Ariane, I can send you a photo of a little tool I made to sand nuts and saddles (bridges) for dulcimers if you are interested. My email address is: klongfield@embarqmail.com Depending on how high your strings are you may need to sand both of them. Also I can send you the thickness of the US coins in mm. Warm welcome to the site Ariane aus Vermont, wie das Buch von Karl Zuckmeyer. I really can't tell you that, Ariane. You can leave a message in the comment box when you join the group and ask any question you need to know an answer to. You can always check the members in the group and see where they are from. Sorry I can't help you other than that. 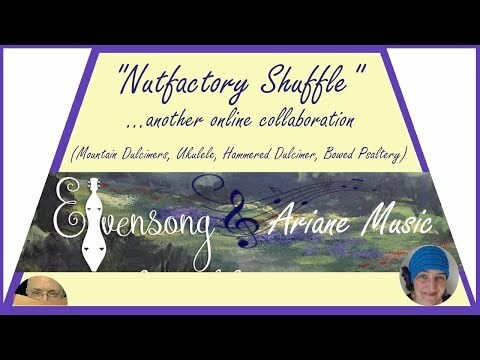 A group which hopefully allows players/makers in this part of the world to keep in touch with others resident in Europe. Ariane, this is a combined group from the UK and European area. Hope this helps you out. Have a good day. Welcome, Ariane, to this little corner of dulcimer heaven. I'll have to check out "The Bonny Ship the Diamond;" I don't think I've heard that one before. There's a lot of those old tunes that resonate with us, aren't there? Hope you enjoy it here. Hi Ariane, and welcome to the wonderful world of the Friends of the Mountain Dulcimer. It's a good place to come, spend some time, learn about the dulcimer, and to meet some good people. Welcome to FOTMD, Arlane. It's good to have you aboard. 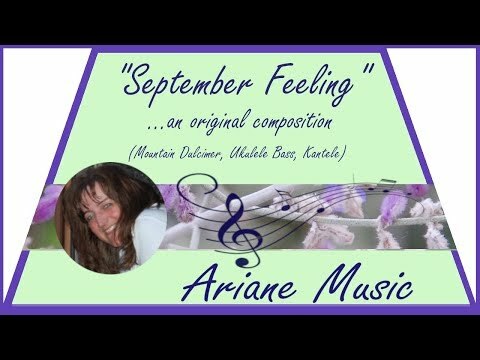 Welcome, Ariane to Friends of the Mountain Dulcimer. This is a great community of people who love the mountain dulcimer and its sweet song. Glad you joined. Enjoy your dulcimer journey. Hey Ariane, welcome aboard. Glad ya found us.